When it comes to the popularity and quality of service, PrivateVPN and Trust.Zone are very similar. Because of this, it can be tough for a user to decide which VPN to opt for. One provider has to be better, if not completely, then at least in those areas that interest you, the future user, the most. 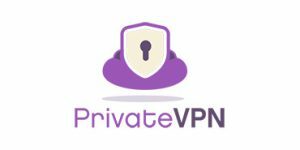 PrivateVPN is a Swedish VPN provider that offers a myriad of useful features, tight security setup, impressive overall performance, and amazing connection speeds - all at a reasonable price. Trust.Zone is a young but well-known VPN service provider first introduced in 2014 by Trusted Solutions Ltd. Their father software company is located in Mahe, Seychelles, a safe haven for online security enterprises of any kind. Great vpn but I wish It had support for some other platforms as well. Hope this happens in the future. I especially like the fact that it can be used in China since I go there regularly for work. Fast and easy to use with a ton of great servers around me. Def recommend PrivateVPN! Zero problems! Customer service is amazing...they helped me set up a VPN wireless network overseas and it works better than I could have ever imagined! Definitely recommend to any and everyone. I really like this app. Quick to set up, easy to use, does the job, what's not to love? The first vpn that didn't make my connection grind to a halt. PrivateVPN is a Sweden-based VPN provider (already) famous for its incredible speeds and tight security setup. Read our dedicated PrivateVPN review to learn everything about the company and its service.